I was five years old when I first landed on the shores of the island of Oahu. 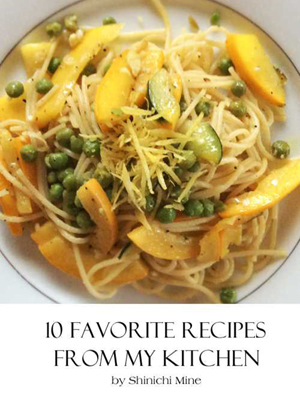 I don't remember much about those days and have pockets of blurred memories, mostly about food. The bag of popcorn you see above is one of those things that bring back memories of those early years in my life in Hawaii. Those were the days when movies were cheap and drive-inn theaters still existed. 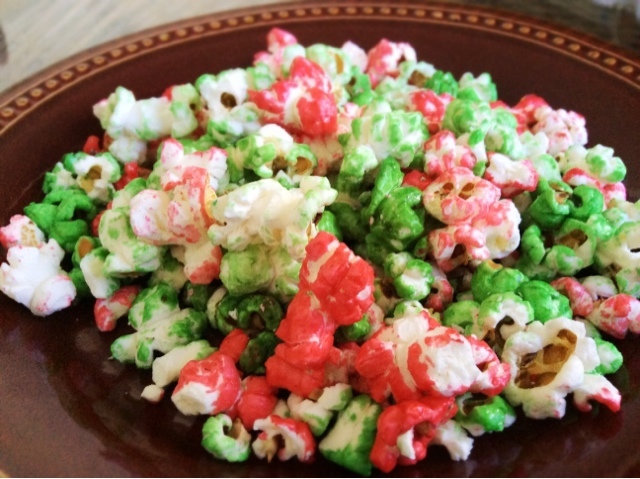 This red and green popcorn mixture is definitely a blast for the past. As soon as I spotted this bag at the supermarket, memories of old movie theaters flashed through my mind and even though I knew I wasn't going to finish the bag, I had to buy it for nostalgia's sake. 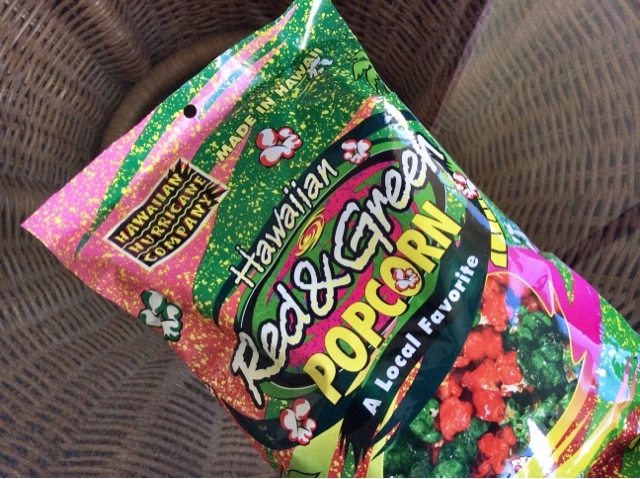 Both red and green kernels taste exactly the same as they are basically sugar coated. 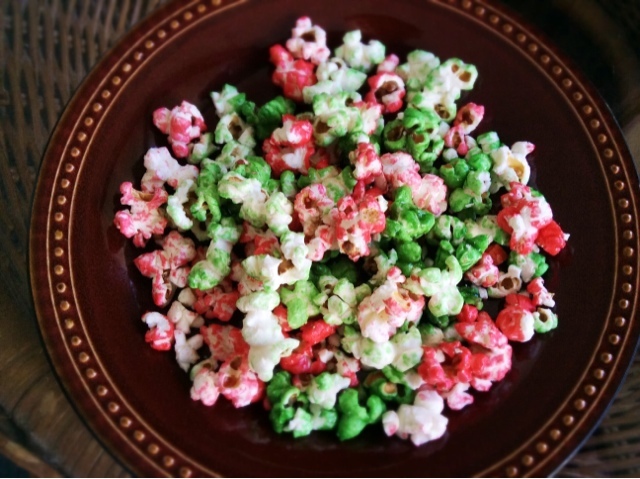 Yes it's a rather simple affair as it's just a combination of popcorn and sugar. I like how crispy they are and they taste surprisingly fresh. It's hard to say whether you'd like this or not, but they do look pretty cool. And the colors remind me of Christmas and would probably work as a garnish for the holidays. They aren't going to become my favorite snack anytime soon, but the memories it brought back to me was worth the small splurge!